Motoring website Auto Trader launched an iPhone app yesterday, which contains car listings and reviews, as well as a number plate recognition tool. Users of the app can search by make and model, while a postcode is also required. This can be typed in, or the app will detect your location and use that as the starting point for a search. To select a make and model, users need to scroll down and select these from the drop-down menu, which can be a bit annoying, especially if you want to search for VW or Volvo. With 100+ car manufacturers in the list, this could be made easier, by allowing users to key in the first letter and jump to the relevant point in the list. Users can specify other parameters in their search, such as distance from the postcode entered, or price. Price and mileage can be adjusted by using a slider tool, which looks good, but can in practice be a little tricky to use as one little movement will shift the price by £5,000. I’m not sure there are enough increments in the pricing either. For example, from £10,000, the next price up is £15,000, which is a big difference in your budget. For more specific searches, there are advanced options, allowing users to specify mileage, transmission, fuel type and more, as well as adding a keyword to the search, which is a useful addition if you have a particular model in mind. This is fine for most searches, though I would have liked to be able to distinguish between dealer stock and private listings when searching, as you can on the main website. Also, and this may be tricky to implement on an app, the website updates the number of available cars as you add each filter, which prevents searches from returning no results at all. With the app though, it’s best to start with a broad search and add filters as you go on. The results are clear, and give key details on price, model, mileage etc, as well as a small photo of the car. Results can also be sorted by price, proximity, mileage, age etc. Depending on the level of detail and the number of photos added by the seller, the listings can be very useful. The USP of the Auto Trader app is the number plate recognition tool, which allows you to take a photo of a number plate, then returns results for that make and model. This removes the need to spend time searching, and allows you to quickly look up details of a car they have just spotted on the roadside and find similar cars for sale nearby. It also allows for easy price comparison, so if you are looking at a second hand car on a dealer’s forecourt, you can easily check other dealers in the area to see if you are getting a good deal. Within a few seconds, you will see details of the make and model, with reviews and technical specs, as well as the option to search listings for similar cars. Here, it would be useful if the app assumed you were searching from your current location or the most recent postcode entered, just to speed the process up as, even if you haven’t closed the app you need to enter the location again. 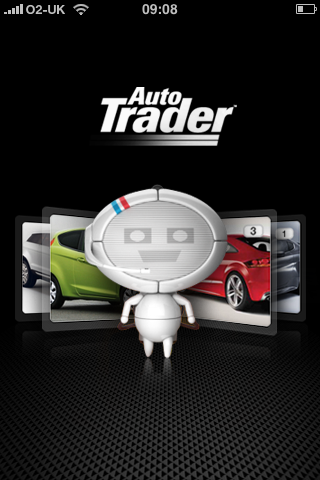 The Auto Trader app is one of the first apps to do used car searches, and is the best one I have used so far. The app could make searching easier by using the current location for each search as a starting point, and there are other possible improvements, such as making the slider tools easier to use, and providing a shortcut for selecting car makes and models from the drop-down list. These issues aside, it is a usable and very useful app, and the number plate tool provides the ‘wow factor’ that could also give the app a chance of being featured on an Apple iPhone ad. 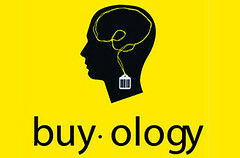 SxSW: Can neuroscience trump creativity in marketing? When it comes to analyzing and predicting consumer behavior, advances in neuroscience have started to provide fascinating insight into the brain of the modern consumer. At the Big Brother in Your Brain: Neuroscience & Marketing panel at SxSW today, the discussion quickly boiled down to one question. Can science trump creative when it comes to getting consumers to react to your brand? The recession and weak ad market have led many well regarded businesses to ask their customers to reach into their pockets and pay a little (or more) money to their cause. But guilting users into opening their wallets is not a long term fix. This week, Ars Technica CEO Ken Fisher conducted an experiment with ad blocking software, in efforts to get readers to start interacting with the ads on his site. My colleague Patricio Robles has written about the mixed reaction to Ars Technica’s plea. But now it turns out that Fisher’s efforts have helped the site’s bottom line.